Diana Stalder is known for giving a 100% skin care and a wonderful result of their treatments. 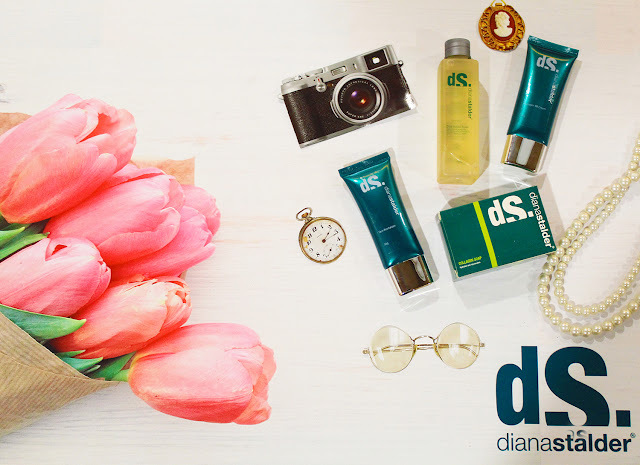 And recently, DS has launched the "Anti Aging Kit", a new set of skin care products which can help you look younger. Let it also be known that collagen plays an important role in maintaining a youthful skin. These are normally present in abundance together with elastin when we are young, but start to diminish as we reach the age of 35. Collagen and elastin become disconnected resulting in the sagging of skin. 1. Caffeine - a central nervous system stimulant of the methylxanthine class. It is the world's most widely consumed psychoactive drug. Unlike many other psychoactive substances, it is legal and unregulated in nearly all parts of the world. products. Glycolic acid is found in some sugar crops. same withering and oxidation process used to make oolong teas and black teas. 4. Hyaluronic Acid - also called hyaluronan, is an anionic, nonsulfated glycosaminoglycan distributed widely throughout connective, epithelial, and neural tissues. hydroxyl groups bonded to a benzene ring in a para position. which has the Japanese common name koji. 7. Lactic Acid - an organic compound with the formula CH₃CHCOOH. In its solid state, it is white and water-soluble. In its liquid state, it is colorless. It is produced both naturally and synthetically. origin of plant vitality, as they maintain themselves while providing a steady supply of precursor cells to form differentiated tissues and organs in plants. 9. Retinol - also known as Vitamin A₁, is a vitamin found in food and used as a dietary supplement. As a supplement, it is used to treat and prevent vitamin A deficiency, especially that which results in xerophthalmia. “Diana Stalder’s Anti-Aging Kit (COLLAGEN SOAP, DUAL ACTION TONER, SKIN REVITALIZER, BB CREAM) is specially formulated to reduce the signs of aging, it keeps the skin hydrated to maintain its suppleness and delay wrinkle formation.